A vehicle is a big investment for most drivers, and as such many prefer to keep their vehicle looking its best as long as possible. Of course, part of the car-owning experience is dealing with the potential risk of your vehicle getting dents or scratches at any time. That said, there are a few practices that car owners can utilize to reduce the chances of having their car’s exterior damaged. 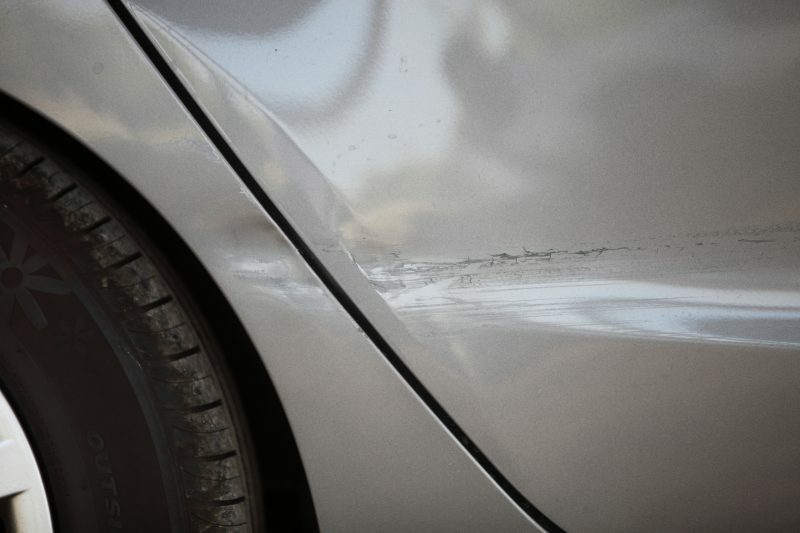 It’s safe to say that a majority of scratches and dents occur in parking lots. We all know of the types of people who open car doors recklessly without caring about hitting the vehicle next to them. The best way to avoid getting dinged up in a parking lot is by parking in an emptier part of the lot. Sure, it may cause you to have to walk a little further to your destination, but your car’s pain job will thank you. Although many drivers view the parallel park as one of the more difficult driving maneuvers, it’s a great way to avoid having other cars parked next to you. While parallel parking may be an intimidating maneuver at first, practice makes perfect! Of course, the more time your car spends in a garage or carport, the more protected it is from the elements and other people. If possible, park your car in a garage as much as possible. Avoid driving or leaving your vehicle outside during extreme weather, which can cause damage to your vehicle’s exterior. Hail storms tend to wreak the most havoc on vehicles, however, windstorms can do their fair share of damage as well, kicking up dirt, dust, rocks, branches, etc. that can scratch up your vehicle. Another common source of scratches and dents on a vehicle is its own owner. Small damages can be made to your car’s exterior just from you setting items on your car’s roof or hood. Anything hard or sharp like your keys, tools, etc. have the potential to damage the finish on your car. Have scratches or dents on your car that could use buffing? Contact our service staff here at Godwin Motors to set up an appointment today, and we’ll have your car looking great in no time. This entry was posted on Wednesday, October 31st, 2018 at 5:03 pm	and is filed under Tips and Tricks. You can follow any responses to this entry through the RSS 2.0 feed. You can skip to the end and leave a response. Pinging is currently not allowed. Thanks for the tip that one should avoid keeping one’s car outside during a hailstorm to prevent it from getting damaged and scratched from the debris in the process. Aside from that, one should send it to a repair shop right after the storm passes as soon as possible. Doing this will help restore its original look too.